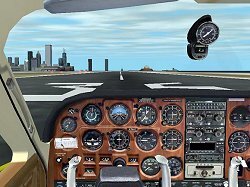 Host sim - Microsoft Flight Simulator 2002. Comments - Dreamfleet Cardinal was published by www.flight1.com in 2002. 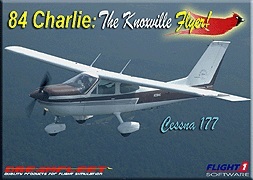 It added N1384C, a 1978 Cessna 177B operated by Knoxville Flyers, a flying club based in Knoxville, Tennessee to Microsoft Flight Simulator 2002. The aircraft model was designed by Mikko Maliniemi of Finland. 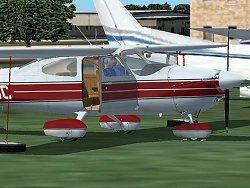 The DreamFleet Cardinal is modeled after N1384C, a 1978 Cessna 177B operated by Knoxville Flyers, a flying club based in Knoxville, Tennessee. 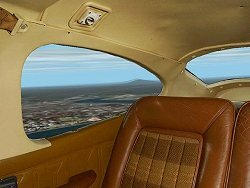 The club currently owns three aircraft; a Cessna 152, Cessna 182, and this Cessna 177, and it is this 177 that is the club's most popular aircraft, being rented more often than any other! Complete Moving Parts: Ailerons, rudder, stabilator, rudder, and flaps all move. The wheels turn, and both cabin door and baggage door open and close. With the press of a key, you can even tie it down, and put the chocks and pitot tube cover in place! 2-D Cockpit, Instrument Panels and Interior "